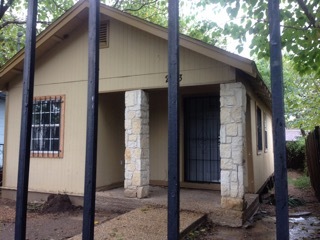 Description: Fixer upper home, great opportunity to own cash flow property, Booming Texas Market, 3 beds, 1 bath, 1000 sqft. Estimated Repairs on Distressed Property Sale:10K, includes interior texture/paint, new HVAC, minor flooring, minor foundation, plumbing/electrical up to code. Max ARV 79K with owner financing, Price: 45K cash. Exit Strategy: Owner Finance for positive cash flow with 10K repairs: 5k down, $800 monthly P/I, 30 year amortization, 10% interest, Price: 79K, can sell note after 1 year. Positive Cash Flow: $700 per month with no maintenance. Consider this investment in property!